A MOTHER and daughter’s dream is about to be realised after ongoing federal government finance was approved for a mental health centre on Pt Nepean Road, Rosebud. 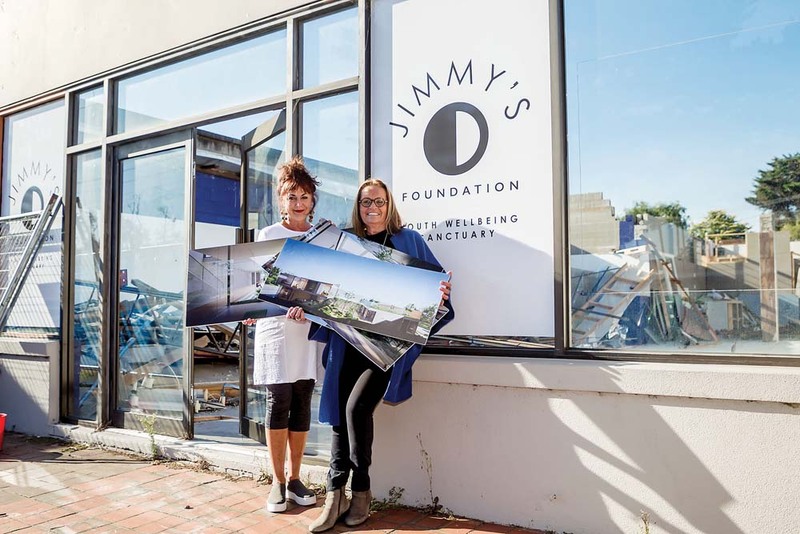 Sarah Darling and her daughter Missy are the driving force behind Jimmy’s which will help disadvantaged young people seeking help with their mental health. It will offer drop-in services, youth and teen mental health courses, wellbeing workshops, and coaching, mentoring and support in personal situations requiring strong intervention or prevention from its purpose-built site at 827 Pt Nepean Road. The YMCA’s Southern Peninsula Youth Services will manage and deliver the services from the new building which it is hoped will be open by Christmas. “It has been a dream of ours for six years now to get this centre set up for the benefit of our peninsula teenagers,” Ms Darling said. “When my own son James died six years ago his sister Missy and I decided that we would like to fund a purpose built facility for the YMCA’s Southern Peninsula Youth Services in his honour. Ms Darling was involved with Foundation59 for several years which, now merged with the Mornington Peninsula Foundation, works to resolve disadvantage on the peninsula. She also volunteered to work alongside Jeanette Horsley and her YMCA youth services team. “I was impressed by the work she was doing in her programs,” Ms Darling said. 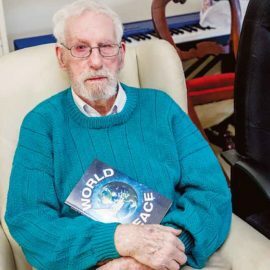 “So Missy and I decided to build something they could use and we went into battle with the council in what turned out to be a five-year process. “I put in all the money (about $3 million) for the land and building, with the federal government money kick-starting it. The architect has included designs favoured by James in his plans for the building which “is in a great spot opposite the pier”. Ms Darling thanked Flinders MP and Health Minister Greg Hunt who she approached for advice and assistance in the early stages of her project. She said although he could not help at the time Mr Hunt promised to provide ongoing funding through the Mental Health Act if she provided the building. Last week the federal government pledged $1.2 million over the next three years to YMCA Southern Peninsula Youth Services to support Jimmy’s work in helping young people who may be disadvantaged or seeking help with their mental health. The first payment has reportedly already been received. 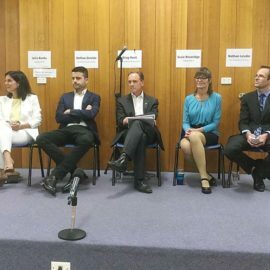 The funding news came as the royal commission into Victoria’s mental health system began community consultation sessions last week. It is estimated that one-in-seven Victorians aged 4-17 has a mental health issue. Half of all lifelong mental health problems are believed to begin before the age of 14 but which may exacerbate between the ages of 19-24. YMCA Southern Peninsula Youth Services manager Jeanette Horsley said YSPS and Jimmy’s board had developed a memorandum of understanding as a basis of their partnership. “It is a very nice collaboration based on shared values,” she said. Ms Horsley said the YSPYS service, which had been running for nine years, focused on intervention and prevention of mental and emotional challenges among young people. “Through our programs we aim to get in early before problems occur which may lead to depression and anxiety. We aim to overcome and manage problems as soon as they are identified, such as a lack of purpose which is often the forerunner of mental illness. “We educate around mental illness and look for ways to help and encourage their reconnection with the community. “Young people attending our programs are often living in difficult family circumstances. Personal and observed trauma, family violence, generational unemployment, social isolation and a family history of mental illness can place young people at higher risk of developing mental health problems themselves.